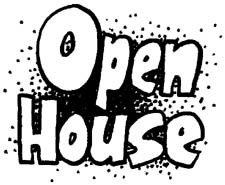 Community will be having an Open House during our Early Registration on Tuesday, February 12th. Come see our facilities. If you've never been out this way, you will be surprised at how convenient the location is from I-40. Our tutors will be on hand to answer questions and you can find out more about our classes. We are low pressure and there is no obligation. We believe each home educating family is unique and respect individual choices. However, if you have ever considered homeschool enrichment classes or tutoring, we invite you to come see what Community has to offer on Tuesday, February 12th from 11:30a - 1p.